Beautiful Malta! At the heart of the Mediterranean Sea, and “The Island of Opportunity and Love!”. There’s no such place in the world as Malta. It has its own unique features and comes with a dash of excitement, and a bit of adventure. Malta is the place for dynamic people to start a new life and reach that top level character we always dream of. Malta offers a chance for everyone to turn an idea into a reality. This belief is what Quicklets was built on. With very fair prices and a good standard of living, it is known to be the second cheapest place in Europe to live in after Cyprus, with properties for rent in a rural area starting from €500/month and €850/month in central and busy cities. The Maltese economy is one of the top performing economies in Europe, beating most of its larger counterparts and an annual actual growth rate of 5% (2016). With the employment rate of 95.8%, the economy is booming. There’s opportunities for everyone to be made ! The best part of the adventure is when looking for a property to rent in Malta. With a very fast growing real estate industry, there are plenty talented and dedicated Real Estate Agents at Quicklets that will help you find your dream home. 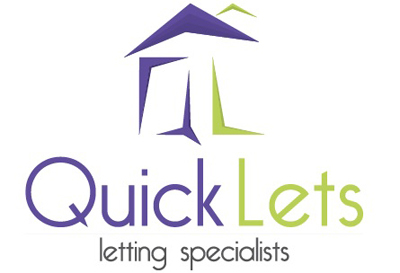 A big company like Quicklets, is the one real estate agency you need to contact, offering the largest property for rent database on the island, dominating with over 26% of the market share. We CAN definitely find you a place you can call HOME. Quicklets also offers you the opportunity to be part of our team! We offer you a very exciting career as a real estate agent, with one of the highest commission based salaries on the island. Bonuses and promotions are the order of the day giving you plenty of chances to achieve your dreams faster! Life as a Real Estate Agent with Quicklets, is a lifestyle to be pursue. We promote a healthy work like balance and a truly open door policy, with plenty of opportunities to meet and interact with affluent people that visit Malta, making it one of the most exciting jobs on the island. Not to mention, there’s another way how to make money with Quicklets. We created the highly successful concept of the Virtual Agent (VA). This is a way to make money by referring properties available to rent or clients. We offer you a 10% commission for referring clients, and 5% for helping us grow our listings base. That means that if you refer an owner of a property to us, and that property gets rented by a Quicklets agent, you will receive a cheque of 5% of the total commission For example if the monthly rent is €1000, when rented, the VA will receive €50 commission. Easy right? Visit www.quicklets.com.mt/va for more information. Living in Malta, you will enjoy very beautiful weather almost 9 months a year, with the sun shining and just a little drizzle of rain. People from all around the globe come to live in Malta because of this reason, and that’s why it’s one the most sought place in Europe. People coming from different cultures and nationalities, here you can enjoy different types of characters and different cuisines. With an average of 3 languages spoken by almost every individual, lots of businesses open in Malta and further relationships are built. Just don’t wait any longer! Find a real estate agent from Quicklets, and you will start a new pleasurable life in Malta. Contact us today!! !